Belarusian civil society organisations try to measure the falling value of the Belarusian rouble. Internet platform “Talaka.by” has launched a new service that will help spread the word about about civil society projects. McDonald’s launched its website and menu in Belarusian. A crowdfunding campaign help independent publisher Lohivau raise over $32 thousand in a month. BIPART develops CharkaShkvarka Index. The Index helps to calculate the real rate of the Belarusian ruble. The basis for the Index is cost of standard glass of vodka and 100 grams of pork. In this "currency" BIPART independent think tank counts the salaries of the population and finds out how far the ruble can be devalued. Among neighbouring countries, Poles have the highest CharkaShkvarka Index; Belarusians take the penultimate place. McDonald`s website now in Belarusian thanks to Mova Nanova. The world famous fast-food chain McDonald's launches the menu in Belarusian, thanks to free translation from Mova Nanova (Language Anew) initiative. The free Belarusian translation Language First-Aid service has been available on the Mova Nanova website for several months now. About 40 firms and entrepreneurs have already benefited from it, among them a network of petrol stations A-100, Protection of Homeland Birds and others. Internet platform Talaka.by launches a new service #TalakaNavіny. The service allows anyone to share the news about social projects, urban practises, events or activities beneficial to communities. The news should not affect politics or religion. After posting the news become available to more than 6.5 thousand subscribers in Talaka.by groups. CSR Forum gathers over 150 participants. On 26 February the IV International Forum on Corporate Social Responsibility was held in Minsk. Organised by the Fund of Ideas, the Forum became a platform for the exchange of ideas and experience in promoting corporate social responsibility for over 150 representatives of CSOs, business, local authorities, international and national experts. Among partners of the Forum there are UNDP, Pontis as well as Pact with USAID support. 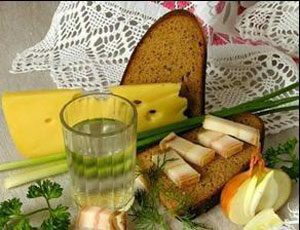 New discussion What Do Belarusians Think will take place on March 12. The Office for European Expertise and Communication (OEEC) and the Belarus Research Council (BRC) invite to the seventh live panel discussion titled What Do Belarusians Think: Who Is Your City Minsk? to discuss the tendencies and problems of development of the Belarus' capital – the city of Minsk. The event will be held on March 12, in the TUT.BY Gallery starting at 7 pm (Minsk time). The online streaming will be available on Naviny.by, New Europe, Citydog and Delfi.ru. Ministry of Information and independent newspapers: 5 warnings in 4 days. Within four days, independent newspapers received from Ministry of Information five warnings. The recent ones went to newspapers Intex-Press, Gantsavitski Chas, Borisovskiye Novosti, Reklamny Borzhomi and a regional Gazeta Slonimskaya. One of the reasons for warnings is shortening Republic of Belarus to RB. Until now, there were only two warnings, and only for Narodnaya Volya. Crowdfunding helps raise half of fine for LohvinaŬ book shop. People have collected about $32.5 thousand in a month during the campaign #SaveLohvinau. Minsk Economic Court fined the bookshop LohvinaŬ and ordered to return ‘the illegal income’ (about $63,000) to the budget for selling books without a license. Under the campaign, an online auction of art works was launched to support Lohvinau book house – artists sell their works and donate the funds received to the book house (the auction is to work until March 10). Journalist denied visa to Belarus. David Crawford was going to be a lecturer at the Press Club Belarus on 27 February. The topic of the long-time planned seminar was journalistic investigation and work of Berlin-based CORRECT!V, among all their participation in investigation of the shooting down of the Malaysian plane over Ukraine last summer. The seminar has not been cancelled, instead it will be held in the format of a webinar on 27 February at TUT.by Gallery. Information Ministry is the most closed state body. The Belarusian Association of Journalists (BAJ) held a survey among its members asking to evaluate the work of press services of state agencies and the degree of their openness to the public. The Ministry of Information was named the most closed state body; the best grade was given to the Ministry of Emergency Situations. The aim of the survey is to ensure better access to information, more openness of public institutions. Program to support rural initiatives. The Representative Office of the German Adult Education Association (Deutscher Volkshochschul-Verband e.V.) in Belarus announces the launch of educational and counseling Program to support rural initiatives Adult Education and Rural Development. The program’s objective is to strengthen the capacity of rural initiatives that undertake historical, cultural and educational activities in rural areas. Deadline for applications is March 25. Mikalaj Dziadok to spend one more year in prison. On 26 February Mikalaj Dziadok’s trial ended in Mahiliou prison #4. He was supposed to be released a few days later but the court imprisoned him for one more year. Anarchist movement activist, recognised as a political prisoner by the Human Rights Centre Viasna, Mikalaj Dziadok was imprisoned for 4.5 years in May 2011 under Article 339-2 (malignant hooliganism). Should Belarus Join the Council of Europe? On 24-27 February, Andrea Rigoni, rapporteur of the Political Affairs Committee of the Parliamentary Assembly of the Council of Europe (PACE), visited Minsk for the first time since 2009. Rigoni has a reputation of being especially friendly toward the administration in Minsk, for which he is criticized by the Belarusian opposition. Belarus remains the only country in greater Europe that is not a member of the Council of Europe. President Aleksandr Lukashenka has never shown much interest in joining. Being an organisation of values, PACE does not offer its members financial rewards, but requires them to commit to democracy and human rights. However, Belarusian authorities need to improve their international image, and gaining a special guest status in PACE would help. 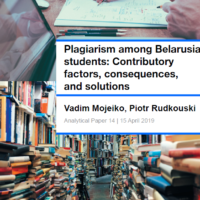 The problem is that allowing Belarus to obtain this status effectively legitimises its "puppet parliament" and provides Belarusian authorities with an additional platform to disseminate their views abroad. Importantly, PACE is approaching Belarus at a time when the Russian delegation's rights in the organisation have been restricted because of Moscow's intervention in the Ukraine conflict. The Council of Europe is an international organisation formed in 1949 uniting all European states, Russia, Turkey and the Caucasian republics. The organisation works to uphold human rights, democracy and the rule of law. Although its decisions carry only advisory power, the European Court on Human Rights, one of the bodies under the Council, has jurisdiction over human rights protection in all of the Council's member states. The Parliamentary Assembly is one of the two statutory bodies of the Council, where Members of Parliament (MPs) from the national parliaments work together. Belarus obtained special guest status in PACE in September 1992 and later applied for membership. However, in 1997 the organisation suspended the special guest status “because the way in which the new legislature had been formed deprived it of democratic legitimacy.” This happened after Lukashenka had dissolved a parliament that included some of his staunchest opponents, and appointed a new parliament loyal to him. In 2004 rapporteur Christos Purgurides presented to PACE his report on the disappeared politicians, which led to a break in contacts between PACE and the Belarusian parliament. But the 2007-2010 period saw a warming in diplomatic relations. This happened to coincide with Rigoni's appointment as PACE rapporteur to Belarus. Despite the improved relationship, Belarus did not obtain special guest status, because Minsk refused to fulfil PACE's only remaining demand – a moratorium on the death penalty. Nevertheless, Belarus joined a number of the Council's conventions during this time. PACE special rapporteur visits have become a rarity for Belarus – the last one took place in 2009. The subsequent worsening of Belarus-EU relations brought cooperation with this organisation to a halt. In September 2014 Belarusian MPs suggested Lukashenka re-engage with PACE in order “to promote the national interests of Belarus through parliamentary diplomacy." They received a positive response from the Belarusian leader. During his recent visit, Rigoni met a number of high-level officials, including speaker of the parliament Uladzimir Andrejčanka, head of the Council of the Republic Michail Miasnikovič, Minister of Information Lilija Ananič, Foreign Minister Uladzimir Makej and others. Afterwards, he also talked to opposition and civil society leaders.The visit occurred in the context of improving relations between Belarus and the EU, and on the heels of several visits by other western officials to Minsk. 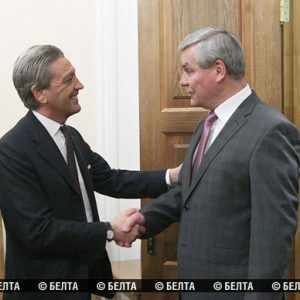 “We have come to Belarus to resume and renew the dialogue," Rigoni said upon his arrival in Minsk. "Our cooperation should be continued. We are ready for it and expect return moves from Belarus.” During the meetings, Belarusian officials repeatedly credited Rigoni for his important role in promoting diplomatic relations. This unusual praise of a foreign official has a particular background. In 2014 Rigoni was appointed PACE rapporteur to Belarus for the second time, following his first tenure in 2007-2010, the period of rapprochement between Belarus and the West. Both times, he took over from Estonian MP Andres Herkel, who had a more critical stance towards the Lukashenka regime. Rigoni has gained a reputation within the Belarusian elite as a pragmatist. In 2009 Rigoni recommended that PACE restore Belarus’ special guest status without the country's fulfilling any of the conditions imposed by the Council. He almost succeeded, as PACE left only one condition on the table – that Belarus terminate the death penalty. This de facto legalisation of the Belarusian authorities’ undemocratic conduct obviously irritated the opposition and civil society, who came to view Rigoni as an undesired appointment. Opposition leaders expressed their concerns during their recent meeting with Rigoni. Anatoĺ Liabedźka, Siarhej Kaliakin, Paviel Seviaryniec and others opined that the authorities only want Belarus to gain special guest status in PACE and make no further moves, because this status does not impose any serious obligations but allows them to participate in the organisation's work. The activists advised Rigoni not to make any major concessions to Lukashenka before the Belarusian elections, as the nature of the elections will demonstrate whether Minsk is truly committed to European values. The rapporteur assured the opposition that the Council of Europe will not compromise its values, and that Belarus will have to assume certain obligations if it wants special guest status. Is Belarus Interested in PACE? Minsk seems to have little interest in Council membership. On one hand, membership does not confer any financial assistance or other economic support, while on the other, it imposes precisely the type of political obligations that the Belarusian leadership finds so deplorable. Minsk has also learned from the example of Russia, which has had to pay substantial sums to people who sued the state in the European Court on Human Rights. However, according to Ihar Hubarevič, a former senior diplomat at Belarus' Ministry of Foreign Affairs, the Belarusian authorities pursue several objectives in their relations with PACE. First, they seek to legitimise the Belarusian parliament and to reward the handpicked Belarusian MPs with respectable status and foreign travel. More important, they want full access to the Council of Europe's lobby, meeting rooms, and microphones, which can act as a powerful tool for promoting the government's views among European parliamentarians and other officials. PACE's renewed interest in Belarus fits into the latest trend of normalising relations between Belarus and Europe. This particular track of diplomacy is a dead-end, however. Europe will gain nothing from legitimising the Belarusian "parliamentarians." Unlike the executive branch, they have no real leverage in the government and no say in Belarus' domestic and foreign policy. At the same time, in order to integrate Belarus into pan-European structures, Europe will have to turn a blind eye to the country's many domestic issues.